The Medicare Supplement Insurance Plan M is a new addition to the Medicare Supplement line up as of June 1, 2010. This additon is an attempt to lower out-of-pocket costs for consumers and to provide them with additional benefits not found in their current plans. Medical Expenses: Medicare Part B coinsurance (generally 20% of Medicare-approved expenses) or copayments for hospital outpatient services. Plans K, L, and N require insured to pay a portion of Medicare Part B coinsurance or copayments. Blood: First 3 pints of blood each year. Hospice: Medicare Part A coinsurance. Hospice Care will be included in all Medicare Supplement Insurance Plans as of June 2010. Medicare Supplement Insurance Plan M offers increased cost-sharing and includes many similar benefits to other plans like Medicare Supplement Insurance Plan D , but will only cover 50% of the Medicare Part A (Hospital) deducible and none of the Medicare Part B (Medical) deductible. The cost of Medicare Supplement Insurance Plan M is expected to be priced at approximately 92% of the current Plan D costs, or 85% of Medicare Supplement Insurance Plan F, which is currently the most popular plan. Medicare Supplement Insurance Plan M includes the basic benefits, which include inclusive coverage for Medicare Part A (Hospital) inpatient coinsurance, coverage for expenses after your Medicare benefits run out, coinsurance for Medicare Part B (Medical) blood services, hospice charges for drugs, and foreign travel emergency expenses. Medicare Supplement Insurance Plan M could be beneficial if you have not been to the hospital for a while or do not anticipate going to the hospital soon because Medicare Part A (Hospital) covers inpatient related costs. 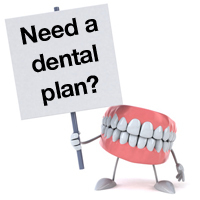 This plan could be beneficial to you if you do have frequent doctor visits. A good rule-of-thumb would be to make sure that the premiums on the Medicare Supplement Insurance Plan M cut your premiums by at the minimum one half of the annual Medicare Part A (Hospital) deductible. If you are not saving at least this much or more on your premiums, you could at best break even or lose money if you undergo inpatient hospital care. We have only briefly touched on one Medicare Supplement Insurance Plan, and as you can see it can be very confusing and somewhat overwhelming. We deal with Medicare daily and your Medicare Specialist here at MedicareMall.com can “Take the Mystery Out of Medicare” by walking you through the maze every step of the way. We are committed to you by shopping the best plans from the top companies available. We will do what it takes to make sure you become a very happy, satisfied MedicareMall.com client. To find out more if a Medicare Supplement Insurance Plan F is right for you, contact a Medigap Plan Representative now or talk to one of our licensed Medicare Specialists by entering your zip code and clicking the ‘Go’ button.